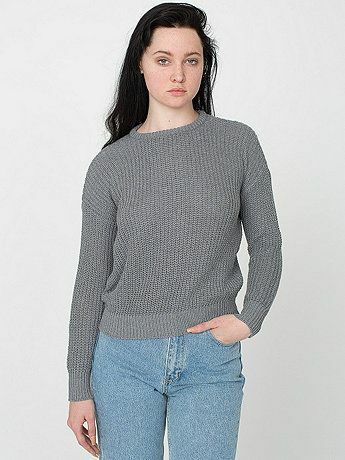 Something I've wanted for a really long time now is the Fisherman's Pullover from American Apparel. I worked at American Apparel over the summer and even though it was well you know, hot out and stuff, I still went googly eyed over them with one of my co-workers. I went on a massive spree before I went back to school and before my employee discount went away, but sadly I didn't pick one up. 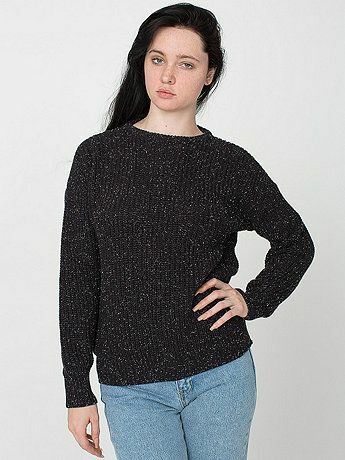 I think it was mostly because we didn't have a lot of the other colors in stock then, but when I stopped by last November, it was like Fisherman Pullovers galore. I swear a light from heaven came down and angels played sweet music on a harp (that's an exaggeration, obviously). Now that my break is almost over, I have no idea why I never stopped by again to get one. I had so much time too, but I guess it slipped my mind. I don't think I'll have time to stop by anymore, so I'm really mad because my co-worker was going to let me use her employee discount. I actually considered just ordering one online but I'm still a bit skeptical of that because 1.) I want to try it on and 2.) I'd have to pay full price plus shipping and that's just something I'm not committed to doing at the moment. I guess I'll just have to see how things pan out and if I'm that desperate for one, go ahead and order it. I ordered the one on the right online, and didn't have to pay full price or shipping. Shipping is free for orders over $50 and there's usually promo codes floating around online for like 15% or 20% off!